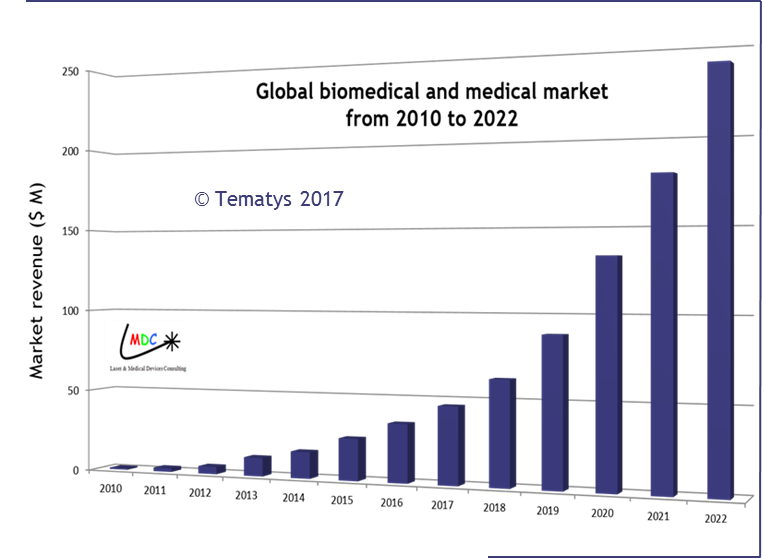 In 2016, the total PAI biomedical and medical market was worth $ 35M, due to the Pre-clinical and Analytics segments only. It is forecasted to reach around $ 240M in 2022. A sharp increase is expected starting from 2018, due to the release of clinical products that are to be approved in 2017 like the « Imagio » system from Seno Medical Instruments, US (already CE marked). Learn more about the report Here and find out the key features of the report in the Flyer.